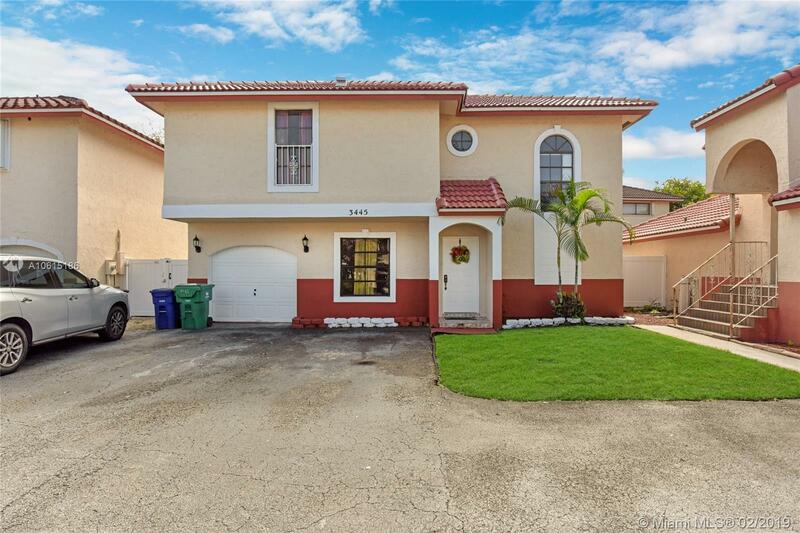 Prepare to feast your eyes with this beautiful home in Miramar Club Homes! This house offers a captivating warm-welcoming layout with an exceptional modern-chic design! On the first floor you will find a gorgeous kitchen with granite counter tops, wooden cabinetry, stainless steel appliances, snack bar and wine rack, then you have a charming dining area, half bathroom, and a grand living room with high ceilings giving the room a great open-airy feel. Take a walk upstairs and find the spacious master suite with dual vanity, stunning glass shower, and walk-in closet along with the junior suite and a utility closet with washer and dryer. Located in a wonderfully maintained community with pool, children's playground and low HOA dues! Make this house your home today!